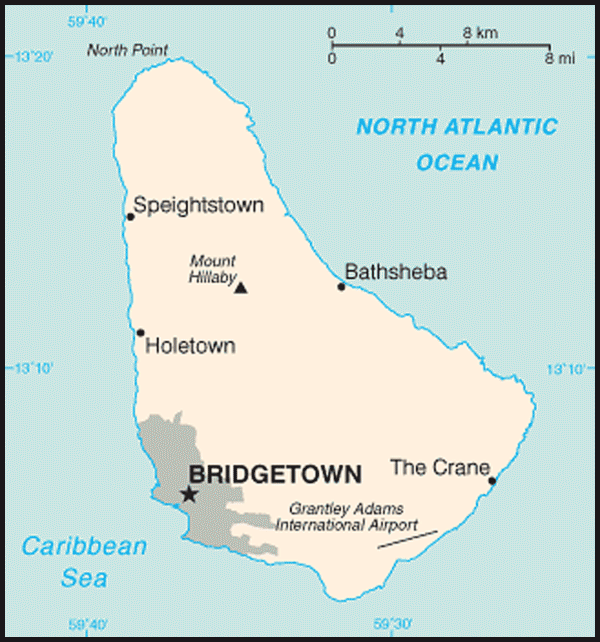 Nationality: Noun and adjective: Barbadian(s); informally "Bajan(s)." Education (2005): Adult literacy: 99.7%. Health (2005): Infant mortality rate: 11.0/1,000. Life expectancy — men 70.8 years; women 74.8 years. Branches: Executive: governor general (representing Queen Elizabeth II, head of state), prime minister (head of government), cabinet. Legislative — bicameral Parliament. Judicial — magistrate's courts, Supreme Court (High Court and Court of Appeals), Caribbean Court of Justice in Trinidad and Tobago. Trade (2005): Exports: $359 million (merchandise) and $1.41 billion (commercial services). Major markets — United States (13.4%), European Union (12.4%), Trinidad and Tobago (10.8%), St. Lucia (6.1%), and Jamaica (5%). Imports — $1.6 billion (merchandise) and $636 million (commercial services). Major suppliers — United States (35.9%), Trinidad and Tobago (21.2%), European Union (13.3%), Japan (7.6%), and Canada (3.4%). The bicameral Parliament consists of the House of Assembly and Senate. The 30 members of the House are elected by universal suffrage to 5-year terms. Elections may be called at any time the government wishes to seek a new mandate or if the government suffers a vote of no-confidence in Parliament. The Senate's 21 members are appointed by the governor general — 12 with the advice of the prime minister, two with the advice of the leader of the opposition, and seven at the governor general's discretion to represent segments of the community. 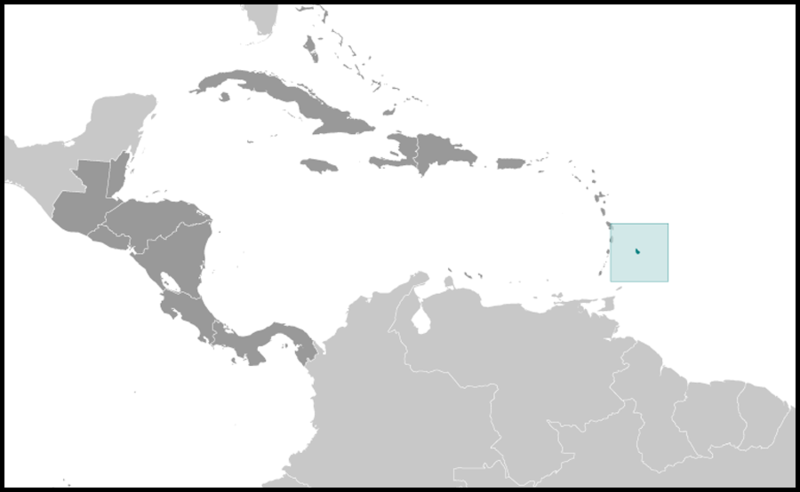 The two main political parties — the Barbados Labour Party (BLP), the Democratic Labour Party (DLP) — are both moderate and have no major ideological differences; electoral contests and political disputes often have personal overtones. The major political problems facing Barbados today are in promoting economic growth: creating jobs, encouraging agricultural diversification, attracting foreign investment, and promoting tourism. In January 15, 2008 parliamentary elections voters gave a majority to the DLP, led by David Thompson. This election ended 14 years of rule by the BLP. Prime Minister Thompson pledged to focus on domestic issues, particularly the cost of living, healthcare, and crime. Prime Minister Thompson passed away in October 2010 and was succeeded by Deputy Prime Minister Freundel Stuart. Mara Thompson, wife of the former prime minister, won the election held January 22, 2011 to fill the parliamentary seat left vacant by her husband's death. Barbados maintains an embassy in the United States at 2144 Wyoming Avenue, NW, Washington, D.C. 20008 (tel. 202-939-9200), a consulate general in New York City at 800 2nd Avenue, 18th Floor, New York, NY 10017 (tel. 212-867-8435), and a consulate general in Miami at 150 Alhambra Circle, Suite 1270, Coral Gables, FL 33134 (tel. 305-442-1994); Barbados Foreign Ministry website (http://www.foreign.gov.bb/). Barbados hosted the final matches of the Cricket World Cup in 2007, and much of the country's investment during 2006 and the beginning of 2007 was directed toward accommodating the expected influx of visitors. As a result of these preparations, growth was registered in all sectors, especially transportation, communications, construction, and utilities. The government and private sector are both working to prepare the country for the Caribbean Community (CARICOM) Single Market and Economy (CSME) — a European Union-style single market.